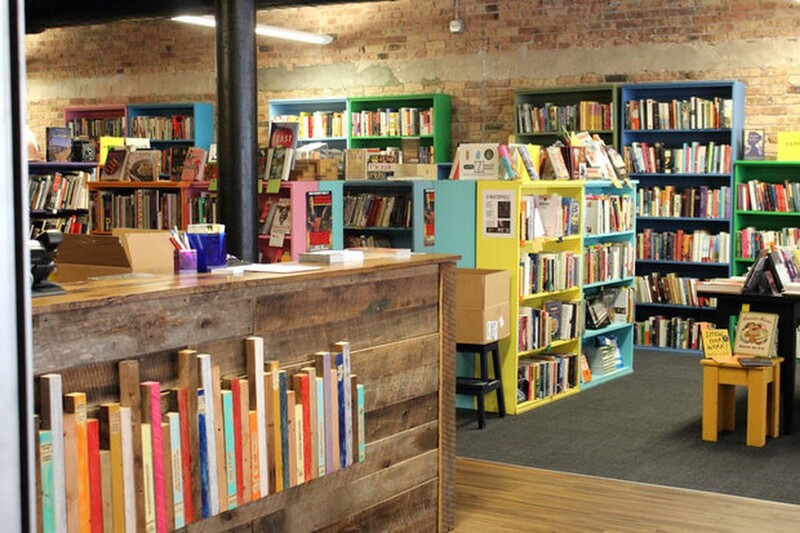 The first public reading of Writers Resist Chicago will be held at Open Books in the West Loop at noon on Sunday, January 15. It is no surprise that—along with disappointment, celebration, and change—literary works respond to politics. Last November, The Atlantic published a piece explaining “Why Poetry Is Viral in the Aftermath of Trump’s Election.” Around the same time, poet Erin Belieu, co-founder of VIDA: Women in Literary Arts, sent out a number of e-mails and posted a status to Facebook—one that would eventually evolve into Writers Resist. Now, there are more than 1,800 members in the Writers Resist Organizing Forum on Facebook, planning for events that will take place around the world next Sunday, on Martin Luther King Jr.’s birthday. In Chicago, Writers Resist will begin at Open Books in the West Loop at noon and end at La Bruquena in Humboldt Park at 7 p.m. Throughout the day, free and public readings will span the length of the city, taking place in such locations as River West, Pilsen, Albany Park, and Evanston. “Historically, writers have spoken out against the injustice of their times, so I’m very happy for this event and as a writer to be part of that tradition,” Brian Kornell, local writer and co-event manager, said. Poet Ruben Quesada, the event director for Chicago Writers Resist, and fellow organizer and writer Barrie Jean Borich will also be reading during the day, along with other novelists and poets such as Audrey Niffenegger, Carol Anshaw, Quraysh Ali Lansana, and Daniel Borzutzky. Speakers from various social organizations like the ACLU of Illinois, Planned Parenthood, and the Center on Halsted will also present talks. Thus, the January 15 events may be considered a launching point for continued engagement with issues that demand protest and encourage citizens to defend democracy. On its website, Writers Resist suggests that students start book clubs to read works by authors who champion democratic ideals and encourages bookstores to invite such authors for local readings. Writers Resist also plans to release writing prompts to inspire the public to put pen to paper, in hopes that they will share their own stories on social media using hashtags such as #ReadersResist and #WriteOurDemocracy. Back in 1986, E.L. Doctorow said in an interview with the Paris Review that “the reason we need writers is because we need witnesses to this terrifying century.” Now, in a different century, his words still ring true. Although writers now use different platforms to present their work, the reason why they write has largely remained the same. As the number of organizers, participants, and writers involved with Writers Resist demonstrates, its legacy will last well beyond January 15. As long as there are people determined to write for democracy, Writers Resist will continue—in print, online, in person, and around the world. Writers Resist will take place on Sunday, January 15, throughout the city. Visit www.chicagowritersresist.info for more information.